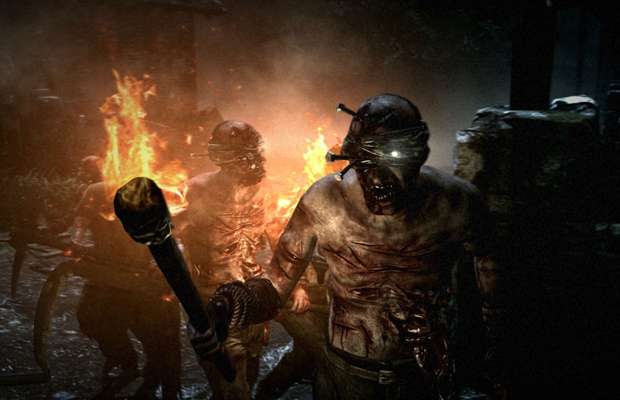 The E3 build of The Evil Within had mixed reviews from the media. The game suffered a performance issue during a few demos which lead to a lukewarm reception by some, but others seemed to love the game when there weren’t any technical hiccups. Footage of The Evil Within has slipped out of QuakeCon and it showcases the game’s prologue. The footage comes to us by Playst4tion, and shows Sebastian and his team as they arrive at the Beacon Mental Asylum. The demo is the same one that was shown at E3, but it does appear that they’ve made a few positive changes at this point. What do you think about The Evil WIthin? Be sure to let us know what you think by leaving us a comment below, or continue the discussion on Facebook and Twitter.